Fortunately, an assortment of new friends await, including the cloud cartographers Harry and Silvio, a bear and raccoon who explore the world in their moon-balloon. 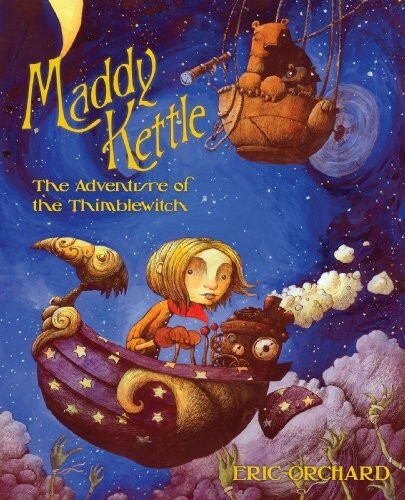 They'll help her along the way, but in the end, the fate of everyone will depend on Maddy's courage, compassion, and creativity. 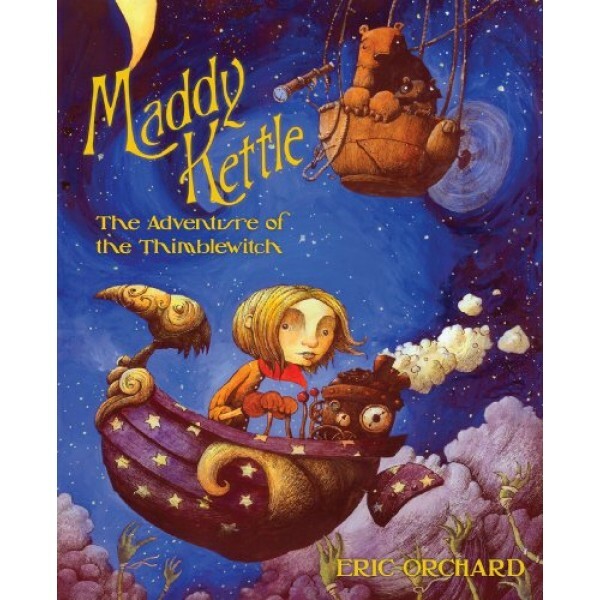 A graphic novel full of surprises and stunning artwork, Maddy Kettle is a truly magical debut for Spectrum-Award-winning cartoonist Eric Orchard. Climb aboard and let your imagination soar!